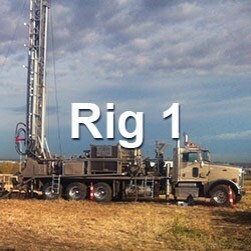 Calibre Drilling Ltd. is a privately owned drilling company located in Spruce Grove, Alberta. Here at Calibre Drilling LTD safety and operational performance are a joint venture and are held to the same standard. The partnership of safety and operations allows us to achieve a working culture that is perpetual in growth. 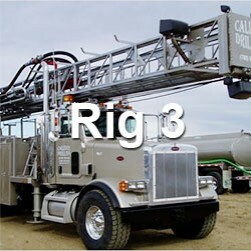 In operation since 1999, Calibre Drilling Ltd. has grown since its humble beginnings with only 1 rig. Currently there are 4 rigs available to provide a wide range of services including domestic and industrial water wells, well servicing/cleaning, cathodic protection for pipelines, pre-drilling piling holes and strat. Calibre Drilling Ltd. also specializes in Pre-set surface casing for shallow gas and pre-drilling pile holes. 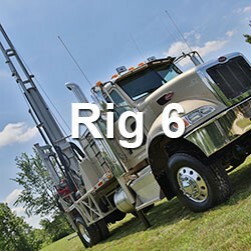 The newest addition is an environmental truck mounted auger rig for geotechnical drilling. Calibre Drilling Ltd. can provide additional services for industrial work. 2 Water trucks 100 bbl capacity, 2 flat tank pipe trucks, multiple capacity mixing tanks, mud tanks, 2 boilers and 2 Rig Manager shacks are available as part of the complete setup. 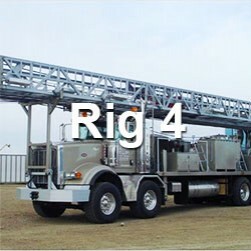 All supporting equipment is truck mounted to provide cost efficiency and portability.